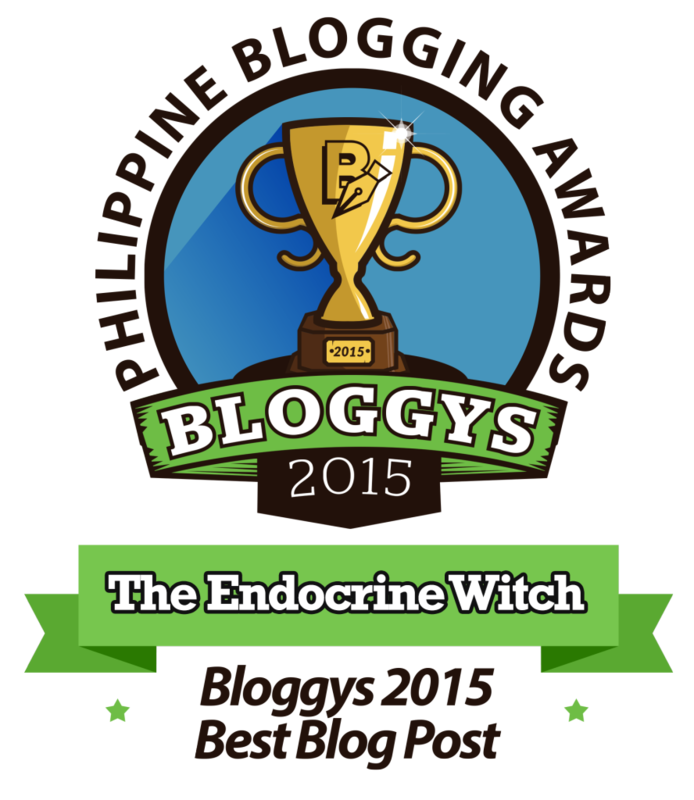 The Endocrine Witch > Patient > Why does self-diagnosis annoy doctors? Why does self-diagnosis annoy doctors? I am a physician and I find this picture offensive. So what happened? The person who posted the picture deleted my reply! That’s what made me decide to write this blog post. Our patients have used Google for quite sometime now to look up symptoms and find more information about their health. Yes, these are Filipino patients. I’m seeing more of them. And no, I don’t have Philippine data to substantiate this – but it doesn’t mean it’s not happening. Googling may lead to self-diagnosis which can sometimes be correct and sometimes not. The doctor is the one who can confirm the diagnosis. 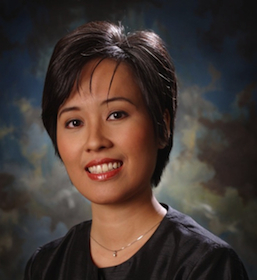 The doctor should not be annoyed that a patient has gotten a self-diagnosis off the internet. Obviously, if the patient was satisfied with what Dr. Google had told him, he would not have still gone and seen the doctor. Years ago, I was talking with a patient for about 45 minutes explaining her thyroid problem. She had read something on the internet and aside from explaining the usual things, I had to spend more time with her to discuss a few misconceptions. She was my last patient for the day. After she left, my secretary at the time said Doctor, I wanted to charge her above your usual rate for taking so much of your time. Thankfully, she didn’t. I wasn’t annoyed as much as I was tired. I also felt that patients needed guidance on how to look for reliable health information. Eventually, I discovered the HON (Health on the Net Foundation) code and shared this with my patients. Are you an internet-friendly MD? I wrote this post in 2011 and you can read here what the HON code is all about. I had delivered a presentation then at the Philippine College of Physicians annual convention on what to do when patients surf the net before seeing the doctor. I think physicians can be internet-hostile because they feel that their expertise is being challenged by the patient that brings online information to the consultation. These patients may simply want to know more but still defer to the doctor’s opinion about managing the disease. 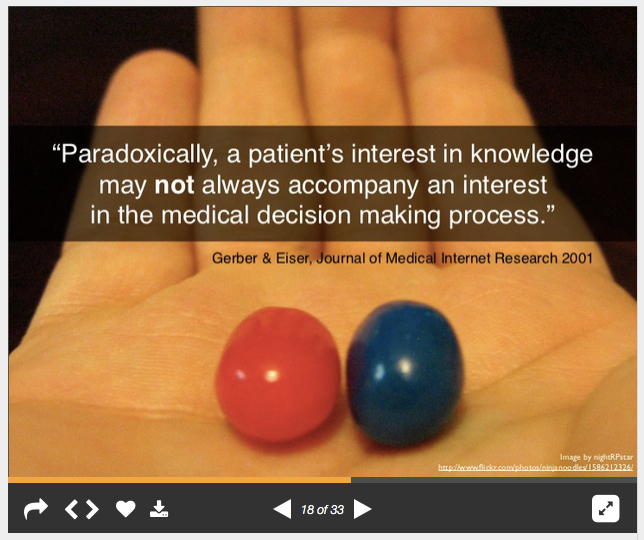 As physicians, we must also learn to accept that with the internet, we are not the sole source of information anymore. I’ve had patients stop their diabetes medications because their neighbor recommended boiling guyabano leaves or eating okra instead. I’ve found these events to be more common than patients being harmed from acting on information found online. If your experience is otherwise, please feel free to leave a comment. 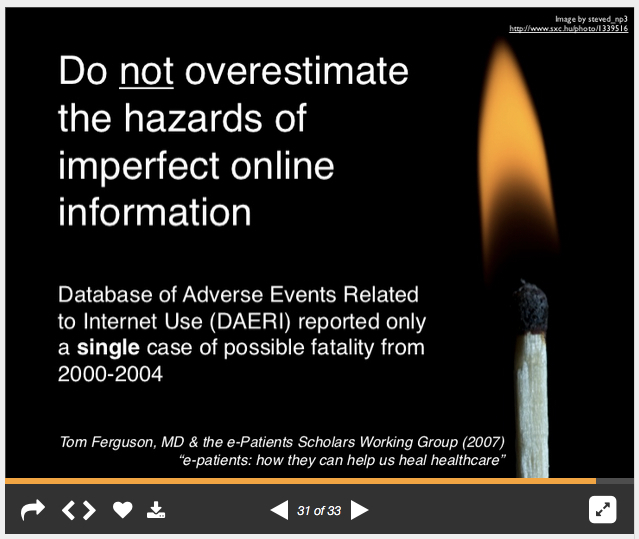 The slide below is old data but I think it’s still true that doctors can overestimate the hazards of imperfect online information. The search yielded 1512 abstracts. Of these 186 papers were reviewed in full text. Of these, 3 articles satisfied the selection criteria. One article described 2 cases in which improper Internet searches led to emotional harm. The second article described dogs being poisoned because of misinformation obtained on the Internet. The third article described hepatorenal failure in an oncology patient who obtained misinformation about the use of medication on the Internet. 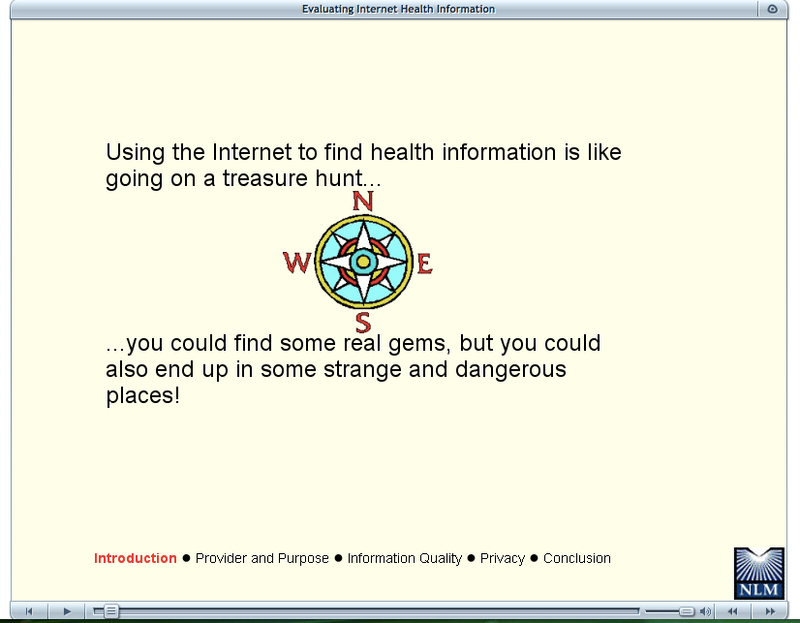 Recently, I found this tutorial from the National Library of Medicine – Evaluating Internet Health Information. It’s 16 minutes long and I hope to do a Filipino version someday. Please let me know if you’d like to help with that. Update: This post was awarded Blog Post of the Year at #Bloggys2015. Hi Iris, those physicians who are annoyed most likely are not digitally-native or those hard-wired traditionalist. Glad to have met you at the congress. I love your write-ups. Nonie Leonidas. Couldn’t agree more about people taking medical advice from friends and neighbours-it has always been the case. One only need look at all the ads for snake oil and similar from early last century to see non-medical medical advice has always been on offer and unscrupulous people have always profited from the illness and desperation of others. In many ways the internet offers some protection against this because there is a plethora of alternate views available and only the most obtuse would fail to see the difference between, say a webpage from, Joslin, for example, and Dr Schonk’s herbal remedies. Also, people tend to seek out what confirms their views, so if they want to drink ochre water rather than take insulin, they’ll find either online or IRL somebody to validate their views. The internet has changed almost every aspect of our lives and every profession has been impacted. As a gross generalisation it is Doctors who gripe about this the most. It’s the way of the world now and your colleagues should follow your lead and embrace the net and social media, or if they can’t do that, at least find a way to peacefully co-exist with it, ‘cos it’s the way things are now. Thanks Mel! One colleague commented on this blog post on Facebook saying she was not threatened by patients bringing information found online to the consult as I suggest but that yes, she is truly annoyed. Annoyed because now extra time is needed during the consult to correct wrong information. She is also annoyed that there is so much trash online. I responded that the Internet is here to stay and as you say we must co-exist with it. I’d also take this one stage further in the case of long-term conditions like diabetes. If your patients are bringing you rubbish that they’ve found online, then the education they have received about their condition is also rubbish. If ppl are educated about the physiology of their disease and about WHY they need various medications & the consequences both taking and not taking various medications then they will be able to evaluate the information they read online. When I talk about social media or the internet and healthcare, I encourage doctors to add their voice to the conversation. Otherwise, those that talk loudest online like Dr. Oz will be who our patients believe. And you are right that the internet fills that void that exists when patients cannot get the information they need from their doctors. Thanks so much Dr. T – especially for being brave enough to tell the truth about your reaction to that sign! I’m pretty sure that if only the Emergency physician who misdiagnosed me with GERD and sent me home in mid-heart attack had bothered to Google my symptoms (central chest pain, nausea, sweating and pain down my left arm), both he and Dr. Google would have come up with only one possible (and correct!) diagnosis: myocardial infarction. Patients are already online, whether their physicians approve or not. And rather than being scolded for going online to find out more about their own health, most would like nothing better than to have their trusted physicians hand them a list of credible websites recommended for future web browsing (e.g. Mayo Clinic, Up To Date, etc.) I’d love to see pre-printed prescription pads with such a list handed out at each clinic visit. There are also many excellent physician and patient sites that deserve to be shared BY DOCTORS with their own patients. For example, in your own specialty, referring your newly-diagnosed diabetes patients to Kim Vlasnick’s excellent “You Can Do This” project “http://youcandothisproject.com/ would not only be immensely helpful, but to NOT tell your patients about this site would be doing those patients a disservice. Thanks Carolyn! I do give a list of recommended websites to my patients as needed but your idea of pre-printed prescriptions is good too. And thanks for sending me the link to the You Can Do This project so I can share them with my patients. Hi Iris, I don’t mind that much when it comes to my patients researching. In fact I appreciate it. It makes things easier to explain. But if I noticed that they got the wrong infos, I usually explain that not everything in the Internet is reliable and give them a few good medical sites to surf. They’re usually happy with that. I think it’s more important that we guide them. Can’t agree with you more! 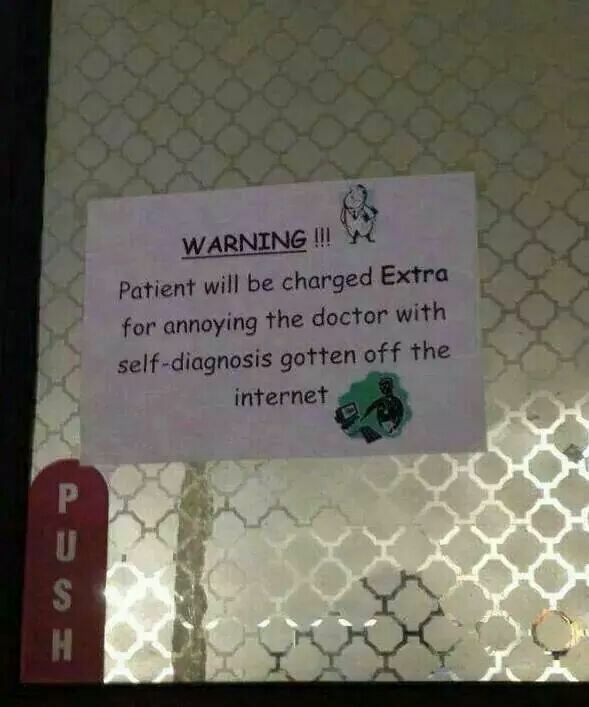 We need to give out “internet prescriptions” too.